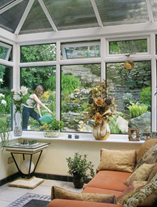 When you purchase a conservatory AK Windows will look after everything for you from the design phase to final installation. 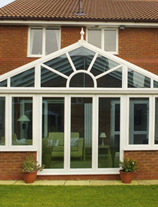 During your initial free consultation with one of our designers will design the conservatory to your specific requirements by way of computer aided design, thereby completely involving you in the design process. Once the design has been established we will be able to show you exactly how the conservatory will look on your home by superimposing the conservatory onto a photograph of your home by the press of a button ! We will then make an appointment for one of our surveyors to call at your home to survey the site. The next stage is for the brick base to be laid, which only takes a couple of days, once this has settled one of our experienced teams of fitters will deliver and construct the conservatory, again only in a few days. Copyright Copyright © AK Windows & Doors Ltd All Rights reserved.